Just as Japan has a unique tea culture, it follows that Japanese tea pots might be a little bit different too. For most tea, the water is boiled in a metal kettle, then poured onto the tea in the tea pot. Japanese tea cups are not quite the same as a traditional European tea set, Japanese tea cups don’t have handles, they do tend to keep their warmth much better though! Perfect for cuppas on cold days. For tea ceremony practitioners, these are an important piece of kit. However, their pleasant designs and cool colours make tea canisters a charming table decoration for afternoon tea or just in the kitchen. Used for holding soy sauce or sauces for dipping when eating dishes like sushi or sashimi. You can also use soy sauce dishes for serving pickles in a pinch, especially if they’re smaller. If you do use it for pickles, you want this to go in between the rice and miso soup, but a little bit above. Rice is central to Japanese cuisine and unless you’re serving a special type of meal (like soba noodles), rice is considered the ‘main dish’. You don’t want your rice bowl to be too big, you can always add some more rice later! This means it’s usually easy to pick out which bowl should be the rice bowl and which should have soup or a side in it when you’re getting everything ready. You’ll want to place your rice bowl just next to your miso soup. Pretty self explanatory, but you don’t have to use it just for miso soup! Any kind of soup you fancy is just fine. The miso soup bowl should go on the right of your rice, and remember, if you’re lucky enough to have a patterned lacquered bowl, turn when you drink, so your lips don’t touch the pattern. Your chopsticks should compliment your tableware and go in the centre, horizontally along the bottom. If you don’t have chopstick rests it’s OK to lay them together across your bowl while you’re eating, but don’t stick them in any of your dishes! 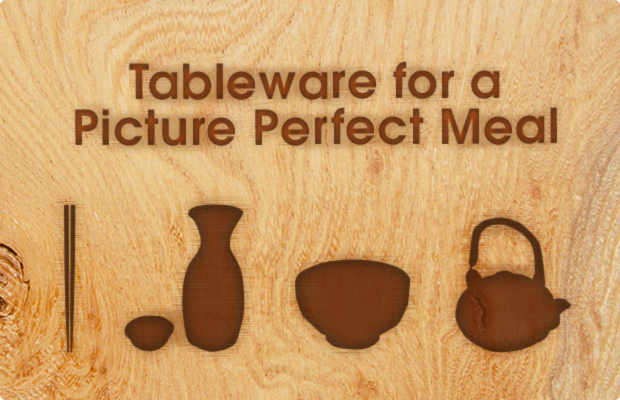 Depending on the number and size of your side dishes, this is where it might start to get tricky fitting everything in! Serving dishes are used for any dry side dish, think tempura or grilled fish, and are placed along the back, behind the rice and soup. The finishing touch! Sake cups come in a dazzling array of styles and types, but for most people there are only two things you need: A tokkuri for serving your sake and ochoko cups for drinking it from. 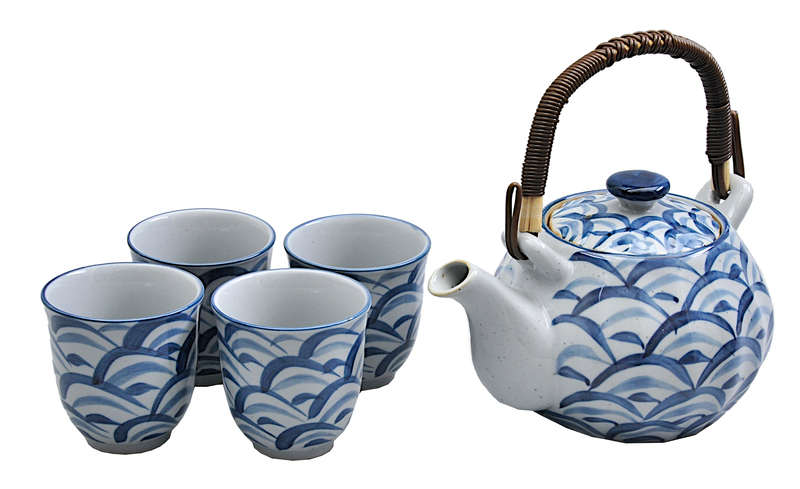 You can find matching sake sets so everything’s nicely co-ordinated, great for special parties! Tokkuri are also really convenient for warming your sake to just the right temperature (Goldilocks would love sake!). Be careful though, tokkuri are delicate, so don’t go plunging it in a roiling cauldron! Warm some water on the stove, then remove from the heat and gently place the tokkuri in the pan. Leave to stand for 2 or 3 minutes, carefully remove and enjoy! Posted in Tea and tagged how to, japanese meal, tea ceremony. Bookmark the permalink.